After Lehi’s first visitation or vision, Lehi was overcome with the Spirit. That may mean he was totally wrapped up in his experience, but it could also mean he was physically drained from the experience. We know from other sources that intense spiritual experiences (especially those involving the presence of God) can be completely overwhelming to the physical body. 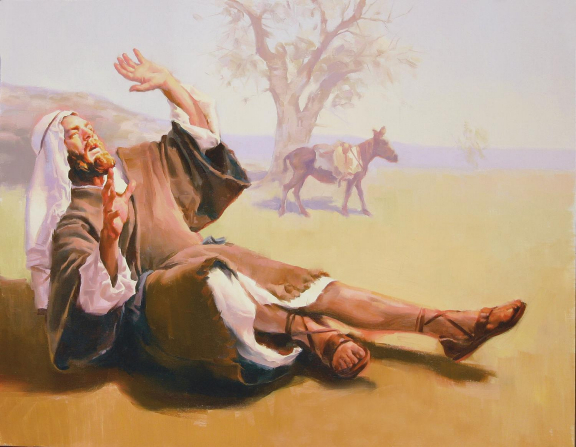 “Joseph sat firmly and calmly all the time in the midst of a magnificent glory, but Sidney sat limp and pale, apparently as limber as a rag, observing which, Joseph remarked, smilingly, ‘Sidney is not used to it as I am.’” 4)Recorded by Philo Dibble, Juvenile Instructor, May 1892, pp. 303–4. 4. ↑ Recorded by Philo Dibble, Juvenile Instructor, May 1892, pp. 303–4.